After a series of excellent concerts in Arsenal, we officially announce that another one is sold out. 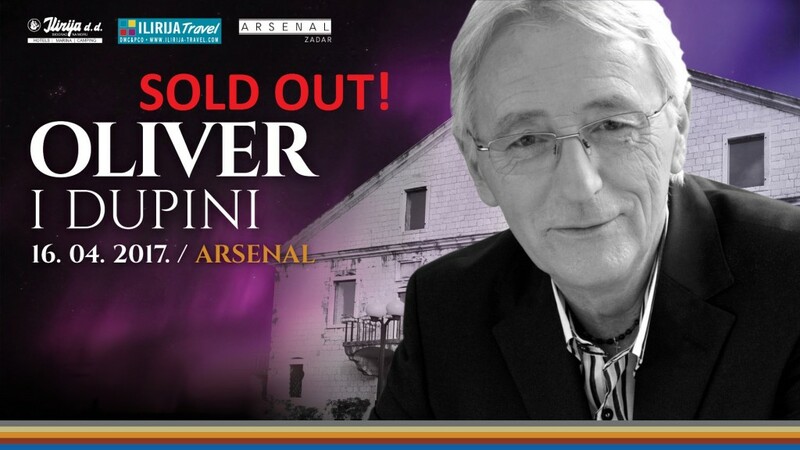 All the tickets for the Easter spectacle in ilirija’s club Arsenal with legend of croatian music- Oliver Dragojević are officially sold out. The next concert in Arsenal is a concert of diva dalmatian pop music- Jasna Zlokić, 05.05.2017., starting at 21.00h, and now we announce that the tickets sale started, tables are already reserved, so hurry and get your tickets, we have no doubt that this concert will continue the current sold out series. Tickets are available in Arsenal from 09.00-15.00 h, or online on croatia-tickets.